With around 30 years of experience in the wastewater industry, we’ve seen many changes to regulations and installation techniques. While some installation techniques are developed as standards in the industry, we’ve taken some to a whole new level by developing our own. Whether it was from our new innovations or simply by chance, we’ve been featured as industry specialists for septic systems and we wanted to share some of these articles. 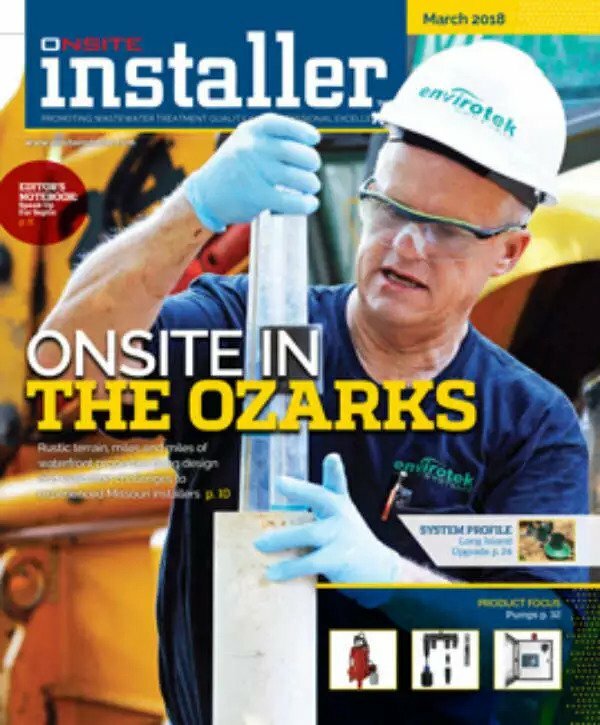 OnSite Installer is a publication, both in printed and online publications that serves those who design, manufacture, engineer and install septic systems and other onsite wastewater treatment systems serving both the residential and commercial industry. While Onsite Installer primarily caters to service professionals who work in the wastewater industry, there are some developers and property owners who also enjoy investigating and researching their current publications. OnSite Installer has featured us in 3 different articles. Two (2) of which they visited our job sites to perform their research and take photographs. One (1) of the articles was written by us to share our experience on a specific case related to the septic system industry. Here’s the most recent article that we were featured in. Here’s an article that was written about our services that included repairing existing lateral lines and a grinder pump. Here’s one where we were asked to write an article about sizing for absorption fields. We appreciated the time Onsite Installer invested to produce these articles. As we are always actively attending continued education courses, articles such as these are also beneficial to our company, which allow us to compare and determine new industry innovations. If you happened to invest the time and read what Onsite Installer published about our company, you’ll notice that we have a tendency to innovate against the grain. With many years of learned experience, our innovations allow us to offer superior materials and functionality to any type of wastewater treatment system including septic systems, sewage pumps, lift stations and more. These innovations are designed to not only perform better, but to accomplish a more cost effective solution for repairing our clients malfunctioning sewage systems. Whether you require a new installation or you need something repaired on your existing septic system, Envirotek Systems has the experience and knowledge to provide you with an innovative and cost effective solution.